Pretty as a picture small hatinator in a lovely shade of lipstick pink. This little hatinator will perfectly co-ordinate with this season's shades of pink. This is a small piece suitable for a petite wearer, or someone who doesn't want to be overwhelmed. In pink sinemay, it it delicately trimmed with feathers and sits on a very slim satin band for comfort. 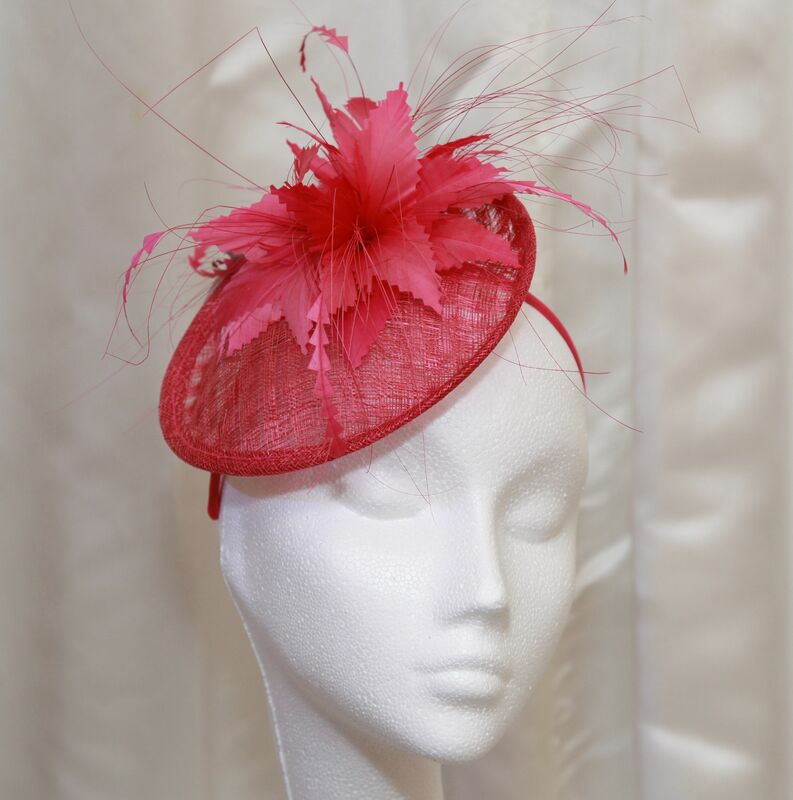 It is perfect for a wedding guest, christening or day at the races.